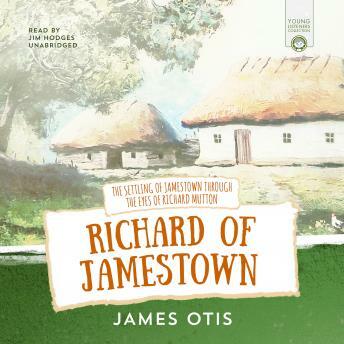 This is the compelling and historically accurate story "Richard of Jamestown" by the incredible nineteenth century author James Otis. The tale is told from the perspective of ten-year-old Richard Mutton, who actually did sail with Captain John Smith on the Susan B. Constant to found the Jamestown Colony. The purpose of this story, as well as the other stories in the Colonial America series, is to show children the home life of the colonists they meet in their history books, while also describing the major events and history of the people who settled this continent, whether for conscience's sake or gain. Written in the 1800s, the Young Listeners Collection features children's stories from yesterday's classics. Learn from our nation's founders whose Christian faith was lived out in the lives of the characters in these stories.